There is something about staying in the jungle…in the heart of the wild, which makes most wildlife lovers swoon. It conjures pictures of tented accommodation, with zebras grazing right behind the tent and buffalos walking upto the watering hole on a bright sunny afternoon. 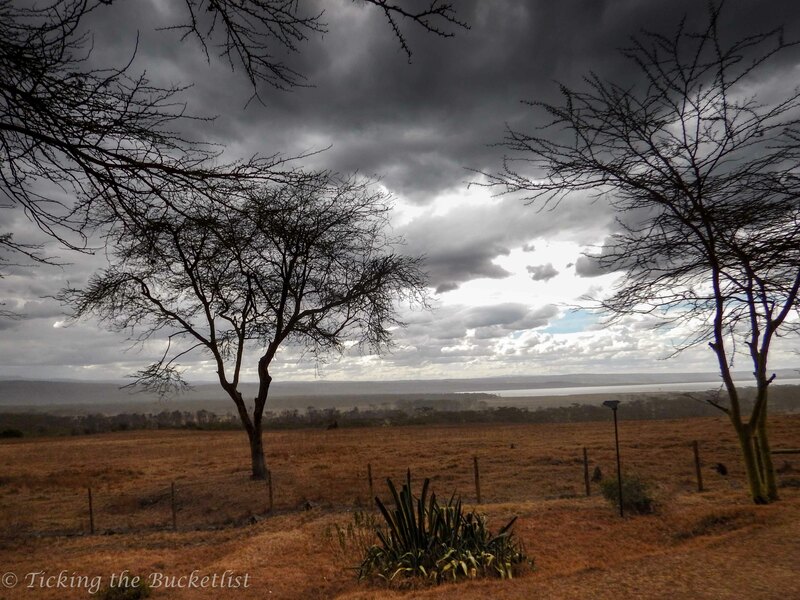 I wanted to stay inside a national park in Kenya and have a 360 degree view of the African Bush…and hence, chose to stay in Lake Nakuru Lodge. 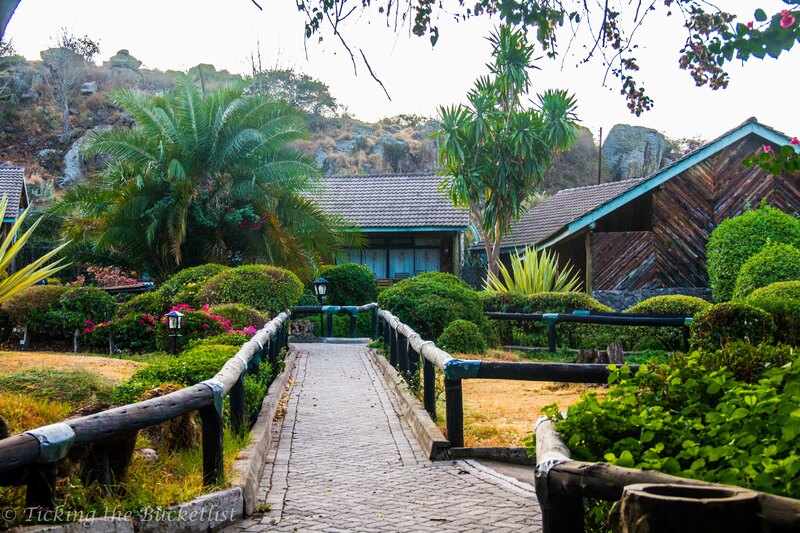 Being inside the national park also means that you can catch a few extra minutes of sleep before the morning safari as you do not have to budget extra time to get the gate of the park…perfect for lazy bums like me! 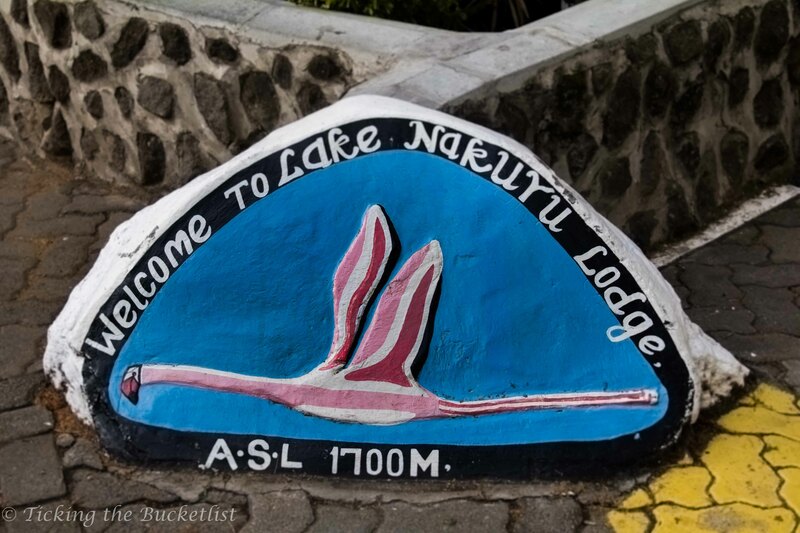 Lake Nakuru Lodge is inside the national park, on a small hill, overlooking the Nakuru Lake. It is this lake that attracts thousands of flamingos. The waters of the lake look like strawberry milkshake when flocks of flamingos arrive. If you are lucky to get a lake facing room, the early morning views are enchanting. Though the lake is too far to spot the flamingos, the landscape is breathtaking. The soft sunlight dances over the lake and this ‘ballet’ is a delight to watch while sipping coffee from the sit out of your room. The property is large and walking through the pathways itself makes one feel close to nature. The tall trees cast a soothing shadow over the lawns, which let the baboons tide over the hot afternoon Sun. Thankfully, these playful creatures leave the pool alone and you can dunk yourself in the cool water to ease your muscles after a day-long safari. 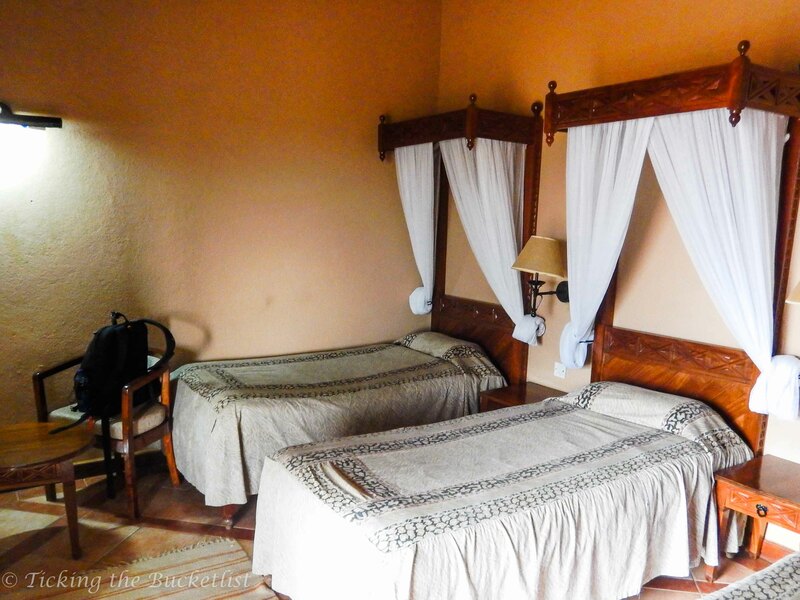 Here is the picture of the twin room that we had during our stay. Actually, the room had three single beds and was large enough to accommodate a family. The bed covers had a grey animal print that looked dull, faded and dusty. However, it was just the dull colour that gave such an appearance. The linen was fresh and clean. The underlying idea to use subdued shades is to blend with the earthy shades of the forest. While I do buy the logic, I still believe that it is time the property replaces the the bedcovers that look faded now. 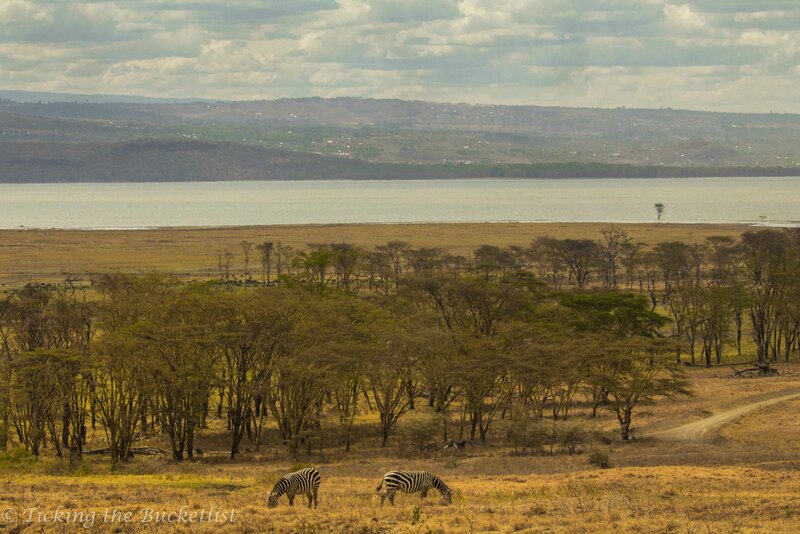 There was a small sit out with two chairs and a table that offered great views of Lake Nakuru in the background and zebras, buffalos and warthogs in the foreground. I didn’t spend too much time there as I was terrified with the thought of a baboon giving me company on the adjacent chair. 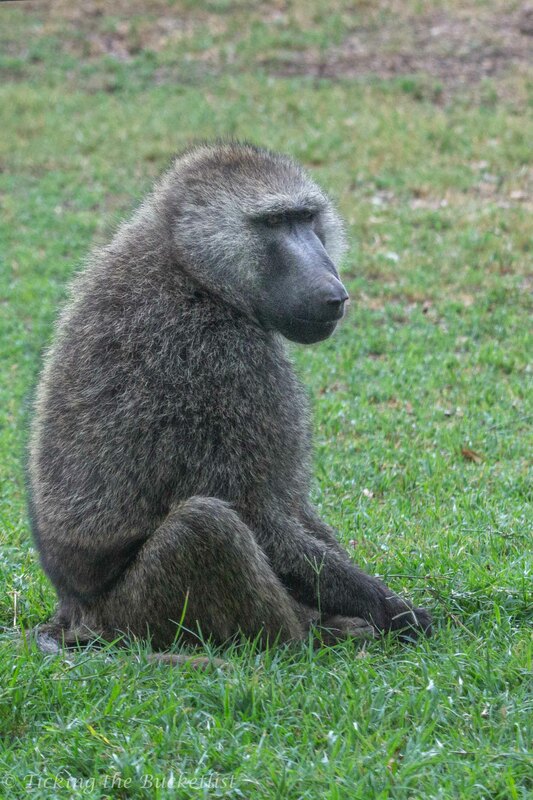 Let me be honest: The baboons do not cause any grief to the hotel staff or guests, except for running away with food. However, this did not offer any consolation and I just could not get myself to sit outside …alone! Call me a timid lass if you wish! I was so so so scared of the baboon! The bathroom was clean and well maintained with running hot and cold water, which is much needed for a shower after a dusty safari. I reached Lake Nakuru Lodge at about 1:30 pm, with only little time left for the lunch buffet to close. 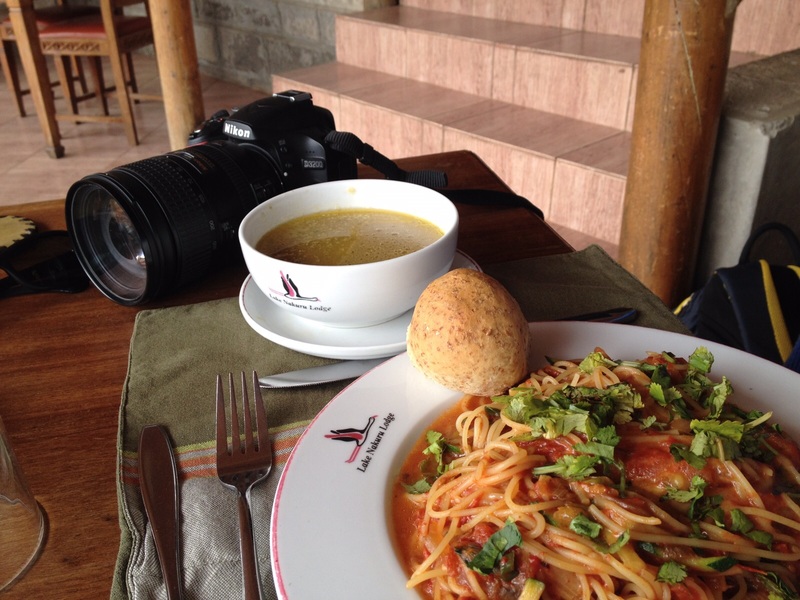 While I felt messy after the 5 hour long drive from Nairobi to Nakuru, I chose to prioritise tummy treat over anything else and put down my back pack and camera at the al fresco side of the dining room. And then, I turned around to look at the lake and saw a little wart hog running towards the water hole (at a distance of 25 meters from the restaurant), followed by another one. Was it Pumbaa, who had walked out of Lion King? 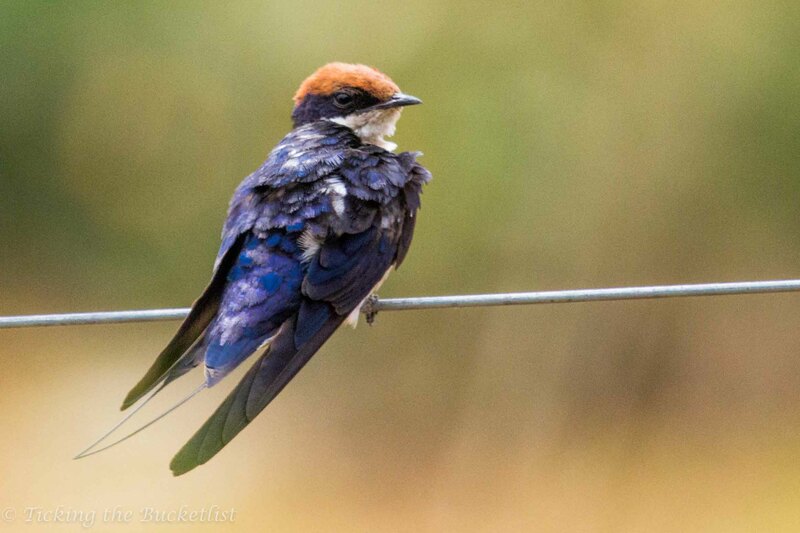 I was then distracted by a few birds tweeting around… and suddenly, food seemed secondary, and using the camera to the best of its ability seemed primary! As for food, I was a contented soul at Lake Nakuru Lodge. There was plenty of vegetarian food. Soup, pasta and salads kept me healthy and happy. For my fellow Indians who like food that tastes similar to what they would get in India, you won’t be disappointed. I had some rajma chawal on one night that tasted as though they were from a restaurant in my very own Mumbai! The staff was warm and courteous. Check in and check out were a breeze. I especially like talking to the girls at the gift shop, who were keen to know what India is like. One of them even offered to braid my hair; paucity of time and I could not use the offer…but will surely give braiding a shot when I am in Africa next. 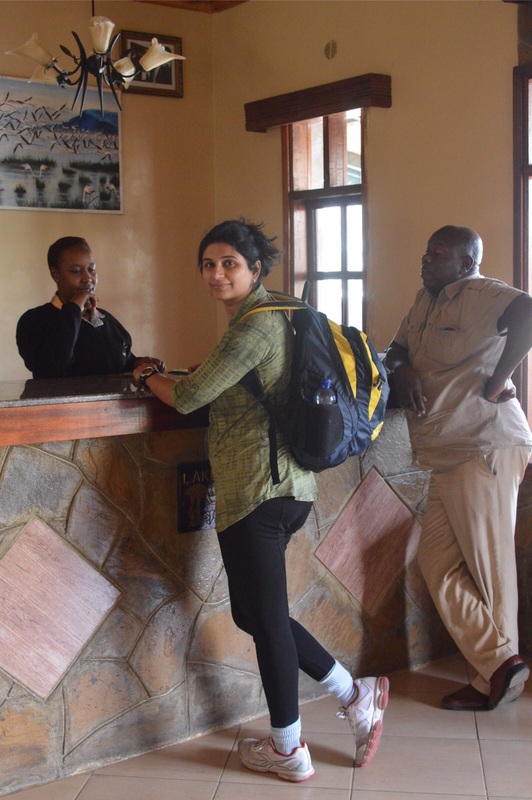 It’s a thumbs up for the service levels at the Lake Nakuru Lodge. 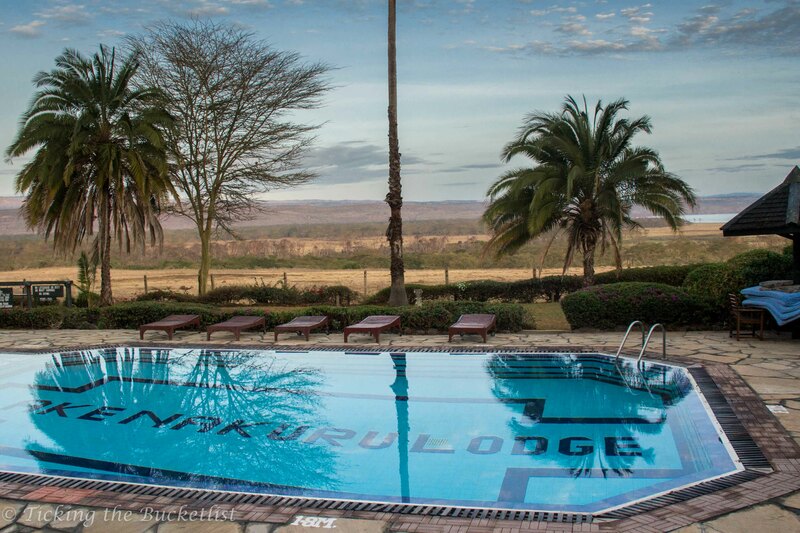 If you want to enjoy the ‘bush life’, but cannot afford to spend a fortune at the lodges inside the Masai Mara, I would recommend a night at lake Nakuru Lodge to ‘feel the jungle’.